There's a quiet revolution going on in China, and Lixin Jiang is at the very heart of it. Since the turn of the millennium, Jiang has been in the vanguard of a growing movement within the Chinese medical profession to make evidence-based medicine the foundation of their practice, and to build the evidence base from within China itself. 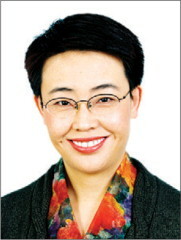 And with the support of Shengshou Hu, the influential head of Fuwai Hospital in Beijing, where Jiang is based at the affiliated National Centre for Cardiovascular Disease, she has been a “whirlwind force for evidence” says Richard Peto, Co-Director of Oxford University's Clinical Trial Service Unit (CTSU). COMMIT was a watershed moment not just for Jiang, but for clinical research as a whole in China. “The Chinese doctors were really excited to have good evidence, Chinese evidence, about the treatment of Chinese patients in Chinese hospitals”, says Peto. After visiting a number of trial sites, the US Food and Drug Administration approved a new indication for clopidogrel in acute myocardial infarction: the first time such a decision had been based on data solely from China. The “research got taken worldwide and influenced worldwide treatment patterns”, says Peto. “Without her it wouldn't have succeeded”. An auspicious precedent thus set, Jiang has gone on to coordinate a succession of large, long-term, international clinical trials and case-control studies in China, including HPS2-THRIVE, TRACER, and HPS3/TIMI55:REVEAL, INTER-HEART, and SHARP. The success of these studies owes a huge debt to Jiang and her team's meticulous planning and tireless capacity building, according to Runlin Gao, Chief Cardiologist of Fuwai Hospital and the immediate Past President of the Chinese Society of Cardiology. “She established a committed research team and a stable collaborative network, including nearly 200 large hospitals in China, and she and her team also developed some practical modules for running trials in China, such as the pre-registration of potential participants, a process of identifying capable and committed local sites, and central monitoring”, Gao explains. But for all the progress that has been made, Jiang is a realist. “Sometimes I say that maybe our limitations are much bigger than our strengths”, she comments, pointing to the complexity of the regulatory system in China. The process to get a trial approved “generally takes about 10 months to 1 year”, explains Jiang; “that is longer than most other western countries, and the process is not very easy”. The unfamiliarity of patients with large-scale clinical research in China can also present problems. “Patients do not fully understand this type of study, they very often have doubts about our motivation, and we don't have a very harmonious relationship between doctors and patients here, and that is a very big problem”, says Jiang.